Chris Stevens George Pastore PhilipRoberts Jack Faber Richard Eline Matt Athanasiou Paul Patrick Black Dave Fragments - I was born and raised in Southern California. After graduating high school, I went into the Marine Corp. where I was tasked with guarding materials of national security. I can't tell you what it was (if I did, I'd have to kill you. )After spending four glorious years serving our country I became a police officer. It was an exciting six years, but in the end, it all came crashing down. My advice, never burn your bridges.Since then I have been spending my time as a supervisor for the post office. It wasn't the most glamorous job and in 2012 I decided to pursue two careers, one is my love of writing. The second, since writing isn't paying the bills just yet, is teaching.I am married with two childrenI have written all of my life, but didn't start taking it seriously until about ten years ago. 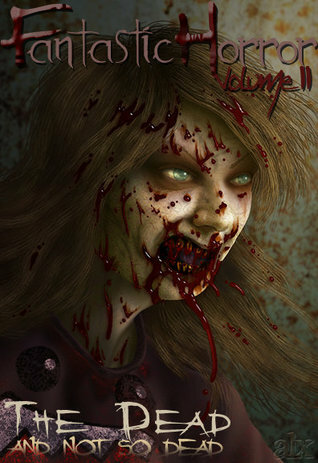 Now I write, edit, and publish the Fantastic Horror anthology. There are many great writers out there that don't necessarily fall into the cookie cutter mold that publishing houses are looking for. At Fantastic Horror, we try to find them a home.So if you enjoy a good horror story, take a gander. If you like to write and you want to be a part of the Fantastic Horror family, feel free to send us something. If it fits and we like it, you just might find it in print.